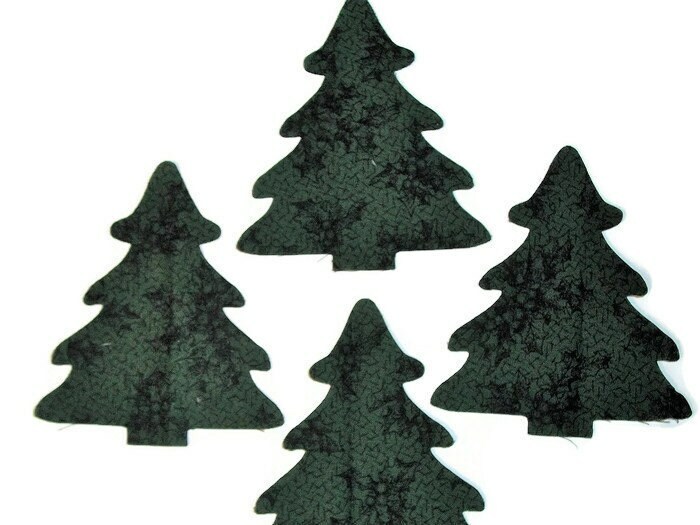 Set of 12 Pine Tree appliques die cut from Thimbleberries fabric made by RJR. Made with high quality quilt shop fabric. The appliques are raw edge. Add fusible to the back for a quick iron-on applique. 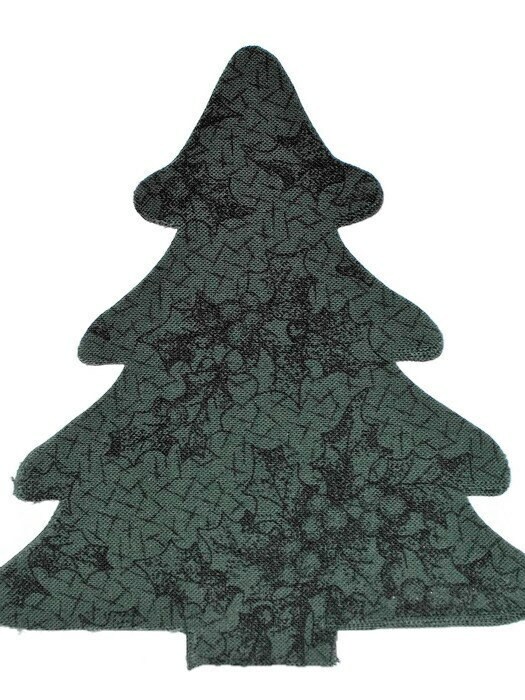 Each tree measures 13cm x 11cm (5" x 4.5").